April marks 80 years since the end of the Spanish Civil War, in which the Nationalists defeated the Republicans. Both groups were diverse coalitions, with the Nationalists comprised of groups from monarchists to fascists while the Republicans contained liberal democrats to anarchists. The Catholic Church found itself thrust into the conflict and forced to choice a side. Catholics from around the world, and in particular the United States, began to weigh in on the fight. Here at CHRC, we have numerous pamphlets and letters from American Catholics about the conflict. The Spanish Civil War began in 1936 after the left wing Popular Front won the elections. Right wing groups, later led by Francisco Franco, rose up to overthrow the Second Republic. The Spanish bishops and many ordinary Catholics sided with the Nationalists. In some ways it was a marriage of necessity, as the Spanish government was seen as openly anti-Catholic. It had taken ownership of Church property, outlawed the Jesuits, and forbid religious orders from teaching. Due to these restrictions, many saw the Nationalists as the side who would help protect and restore the Church. Further support for the Nationalists grew out of the growing presence of communists in the Republican forces. Catholics believed that communism was the antithesis to Christianity and thus the only way to save the soul of the country was to side with those opposing it. The archbishop of Toledo wrote to the American bishops in 1937 asking for support, stating that “the National army is defending the essential foundation of society.” The final straw that pushed Catholics to side with the Nationalists was the persecution of the Church religious. In total 12 bishops, 4184 priests, 2365 male religious, and 283 female religious were killed by the Republicans during the war. Over in the United States, many religious figures called for the support of the Nationalist cause. Two prominent Philadelphia Catholics, Dennis Cardinal Dougherty and Msgr. Edward Hawks, were large supporters of the war effort. Msgr. 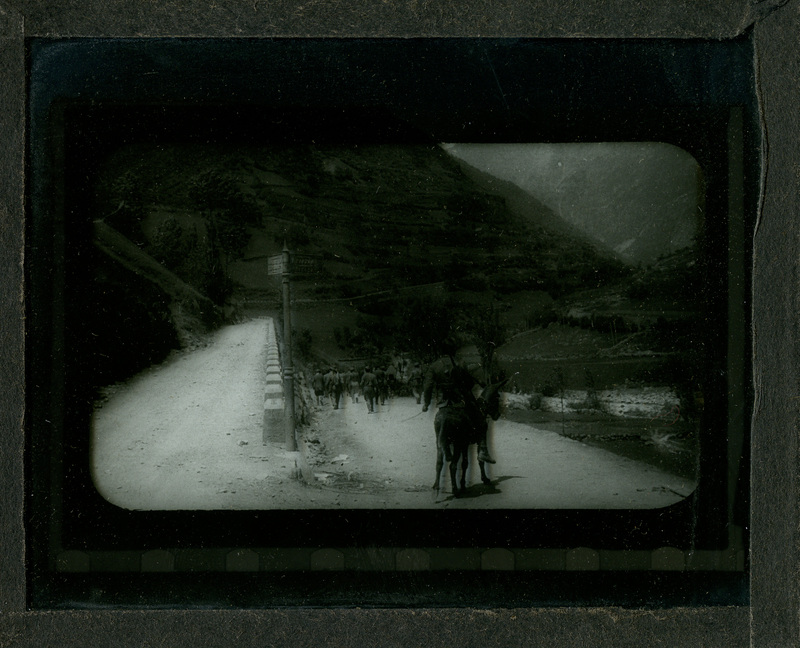 Hawks traveled to Spain during the war and took pictures of the war torn country. What he documented, led him to believe that the Nationalists needed to triumph in order to restore Spain from the damage inflicted by the Second Republic and the Republican forces. Hawks went on to write for numerous Catholic newspapers and journals on the horrors of the war and the need for Catholics to support the Nationalist cause. Others in the United States who supported the Nationalists during the Civil War wrote numerous pamphlets on the conflict. One notable writer was Father Edward Lodge Curran of New York, who created the International Catholic Truth Society in order to spread his views on important Catholic topics. In one of his pamphlets, he described the war as “a struggle between civilization and communism” and of “social justice and… economic slavery.” Such apocalyptic writing was common in the pamphlets as many Catholics saw the spread of communism as the literal destruction of society. 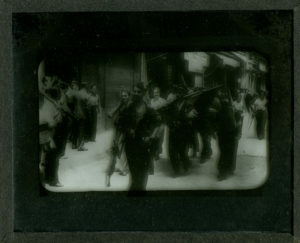 The Spanish Civil War, although often overshadowed by World War II, had major impacts on the world and the place of Catholics in it. American Catholics took an active role in writing and commenting on the war and in most cases supported the Nationalist forces out of the belief that it would restore and protect the Catholic Church. 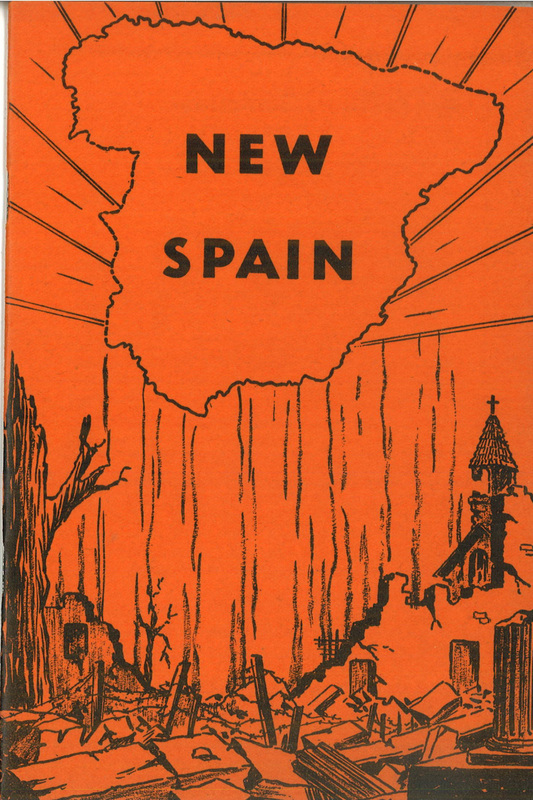 Go to our Omeka site to see some of the Spanish Civil War pamphlets or come to the archive to view the whole collection and the Msgr. Hawks slide collection. Santiago Martínez Sánchez, "The Spanish Bishops and Nazism during the Spanish Civil War." The Catholic Historical Review 99, no. 3 (2013), 500. James Flint, ""Must God Go Fascist? ": English Catholic Opinion and the Spanish Civil War." Church History 56, no. 3 (1987), 368. 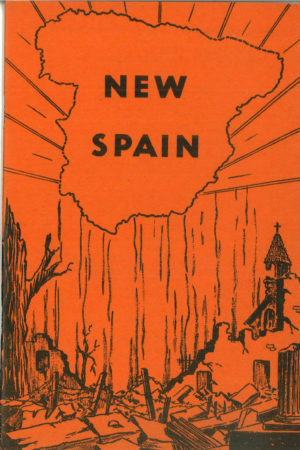 Donald F. Crosby, "Boston's Catholics and the Spanish Civil War: 1936-1939." The New England Quarterly 44, no. 1 (1971), 100. Juan Francisco de Cardenas, “Letter to Cardinal Dougherty,” 01/30/1937, MC78_80.4513. J. David Valaik, "American Catholic Dissenters and the Spanish Civil War." The Catholic Historical Review 53, no. 4 (1968), 732. Spanish Nationalist Relief Committee, “Letter To Cardinal Dougherty,” 03/18/1938, MC78_80.8209. Cardinal Dougherty, “Letter to Generalissimo Francisco Franco, 05/23/1941, MC78_80.5542. Edward Lodge Curran, “Franco: Who is he? What does he fight for?,” (Brooklyn: International Catholic Truth Society, 1937), 8 & 12. 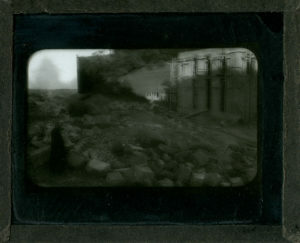 AC1990.116 F3.